Here is a short guest blog from Victron Energy distributor Energy Solutions, which I hope fellow sailors will find useful. In fact, when I was looking for a galvanic corrosion solution for my own boat I didn’t even realise Victron Energy made them! Thanks to Melanie Lay of Energy Solutions for sending me the information used in this blog. Galvanic corrosion is the process that can cause the hull of your boat to start to corrode when you are connected to shore power. 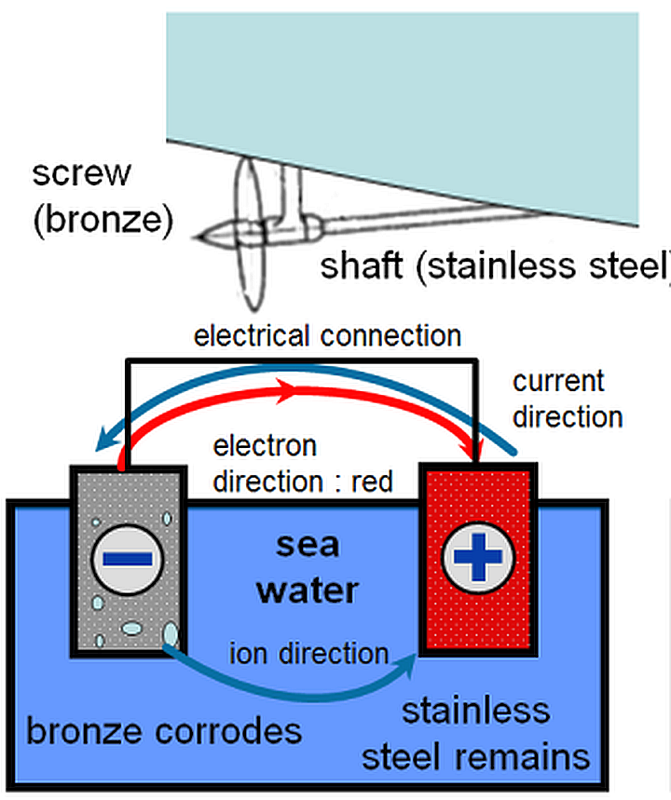 Corrosion occurs when two dissimilar metals are immersed in a conductive solution (sea water) and are electrically connected (by the shore connection). One metal is protected, whilst the other is corroded i.e. your boat’s hull. This is the same type of corrosion that occurs in a battery to release energy. This type of corrosion can cause an electrical current to run from your boat’s hull to the shoreline; which could potentially electrocute a swimmer swimming between your boat and the shore when you are connected to the shore power. It is essential you protect your boat and the swimmers in the water from this risk. There is a common misconception that galvanic corrosion can only occur in metal or aluminium hulls but in fact, it can occur in any boat that has metal in contact with the water such as the propeller and shaft, skin fittings etc. 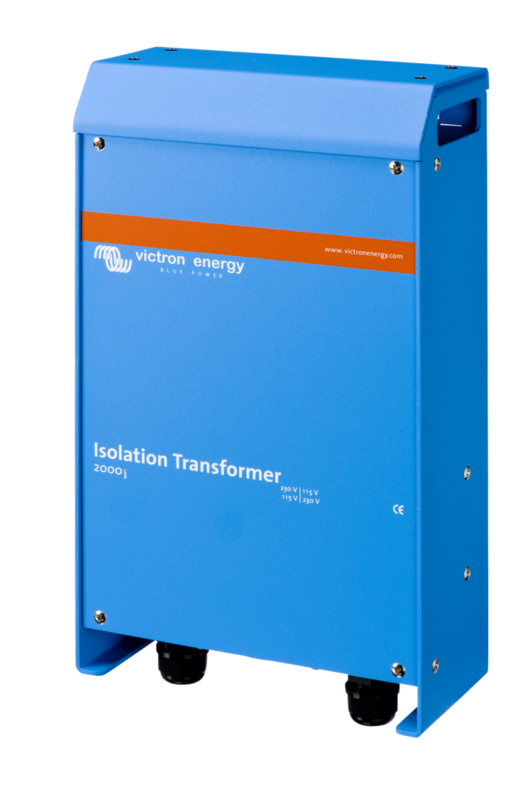 There are two ways to protect from galvanic corrosion; either by installing an isolation transformer or a galvanic isolator. An isolation transformer eliminates any electrical continuity between shore power and the boat. The shore power is fed to the primary side of the transformer and the ship is connected to the secondary. The isolation transformer completely isolates the boat from the shore ground. By connecting all metal parts to the neutral output on the secondary side of the transformer, in the case of a short circuit a circuit breaker will trip or a fuse will blow. 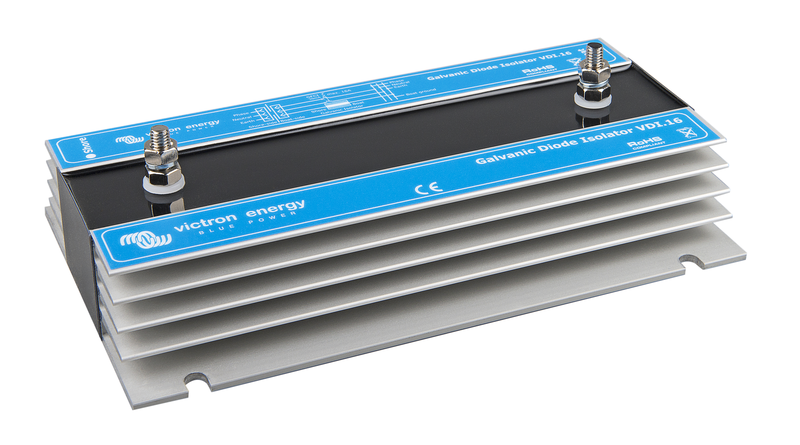 Another option is to install a galvanic isolator, this consists of two internal diodes which are connected in anti-parallel. When they are connected in this way, the diodes allow current in both directions but only above a certain threshold voltage. The isolator is installed directly behind your boat’s 230V connection. The forward voltage from the galvanic isolator is higher than the potential difference between metals. As a result, this voltage will not allow conduction and as such, the galvanic isolator will prevent any electrolytic current. However, if there is a (higher) error voltage in the AC circuit, the diodes will allow current through and the residual-current device will break the circuit. Solar Plants Ltd: Visionary classroom?